ST. LOUIS, Mo. – The International Photography Hall of Fame and Museum announced its 2017 class of Photography Hall of Fame inductees, and first-ever Lifetime Achievement Award recipient. 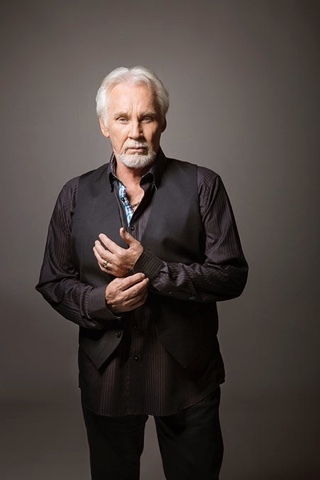 Kenny Rogers - singer, songwriter, record producer, actor, photographer, and author - will receive the 2017 IPHF Lifetime Achievement Award, the first of its kind awarded by the IPHF. In addition, Nine photographers or photography industry visionaries who demonstrate the artistry, passion, and revolution of the past and present craft of photography were selected for induction to the Hall of Fame, including: Ernest H. Brooks II, black-and-white underwater photographer; Harry Benson, iconic portrait photographer; Edward Curtis, photographer of the American West and the North American Indian; William Eggleston, pioneer of color photography; Anne Geddes, portrait and infant photographer; Ryszard Horowitz, pre-digital special effects photographer; James Nachtwey, photojournalist and war photographer; Cindy Sherman, conceptual portrait photographer; and Jerry Uelsmann, photomontage photographer. The IPHF annually awards and inducts notable photographers or photography industry visionaries for their artistry, innovation, and significant contributions to the art and science of photography. The 2017 Awards and Induction Event will take place on November, 17, in St. Louis, MO, home of the IPHF in the Arts District, Grand Center. A nominating committee of IPHF representatives and notable leaders with a passion for preserving and honoring the art of photography selected the inductees. To be eligible for induction, nominees were considered based on the noteworthy contributions they made to the art or science of photography that had a significant impact on the photography industry and/or history of photography. The inductees, though widely differing in style and practice, are individually seen as significant innovators in their respective fields. They are all risk takers who introduced the world to new means of artistic representation and expression. In addition to honoring the 2017 class of Photography Hall of Fame inductees and Lifetime Achievement award winner, the IPHF will be honoring the late Ken Whitmire, former IPHF board member, for his many contributions to the Museum and for his passion and commitment to photography. For more than 50 years, the IPHF has been and remains the only organization worldwide that recognizes and honors significant contributors to the artistic craft and science of photography. The 2017 cohort of awardees and inductees join 79 other artists and innovators, including: Steve Jobs, Annie Leibovitz, Dorothea Lange, and Ansel Adams. The 2017 Induction Ceremony will be held on Nov. 17, 2017 in St. Louis. For details, contact Patty Wente at 314-479-2698 or patty.wente@iphf.org. In addition to their commitment to the Photography Hall of Fame, the IPHF strives to educate the public about photographic history and to collect, exhibit, and preserve historical items and images. IPHF’s impressive permanent collection contains works from more than 500 artists, nearly 5,000 historical cameras, and more than 30,000 photographs. More information on the International Photography Hall of Fame and Museum can be found at www.iphf.org.